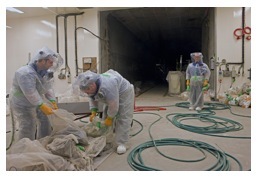 RADWIPES – Next Generation Decommissioning wipes. RADWIPES are designed for the fast, efficient and cost-effective cleaning of hard surfaces during decommissioning operations. RADWIPES help reduce waste and cleaning time.